I love it when we get to use and reuse the cards and goodies that I laminate and cut out for the kids. The free what’s in the box cards from Twinkl have been one of these that we have used over and over again. We used them as a straightforward match the correct word to the correct picture activity, my son has traced over the words with his STABILO woody 3in1 Wallet of 10 colours – Multi-talented pencil (they wipe off laminated card), we have used them as a spot the vowel activity and this week we used them in a sensory tub as a digging for words activity. 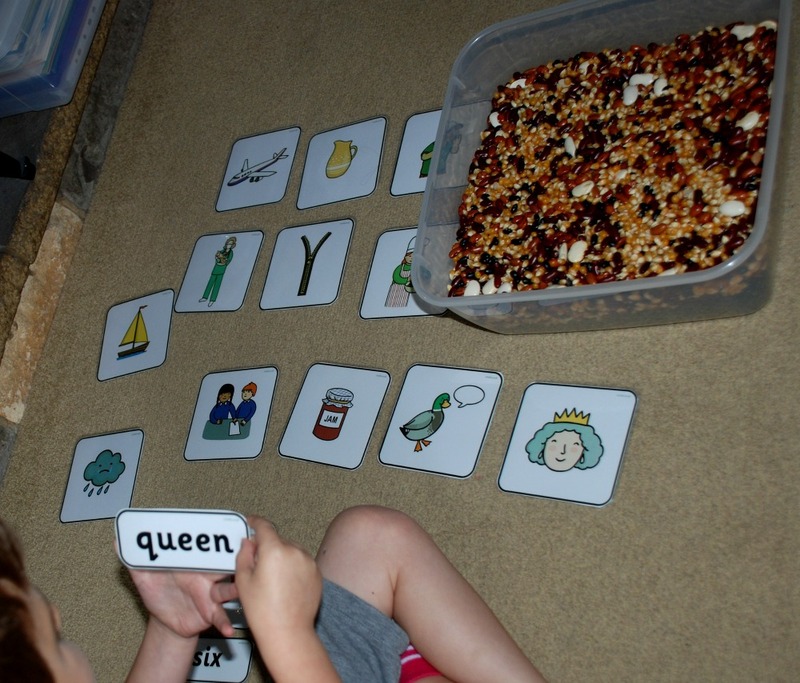 I enjoy including sensory bins whenever I can with the kids learning as they get to have sensory input while they are learning something so it always feels like a win win activity to me. We have used sensory tubs with a letter hunt (for my son) and some number bond maths (for my daughter) and word hunts (with my daughter) so I thought it was time my youngest got to do his own word hunt. 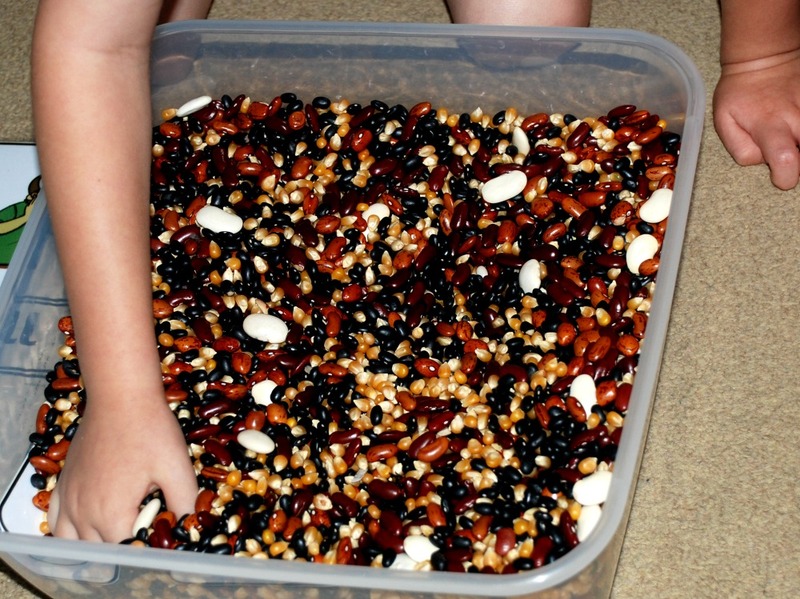 I made sure our bean tub was nice and full and I removed all the extra goodies that always seems to end up in the bean tub – my kids keep their bean tub in their bedroom so small animal toys often end up hidden inside it. Then I hide the words in the tub and left the pictures on top. I left the tub in the middle of the sitting room floor and waited for my youngest to discover it. My youngest likes to discover activities for himself. He started off by setting out all the picture cards on the floor next to the bean tub and then started searching for the words. As he found the words, he would sound them out and then try to blend the sounds together to get the correct word. 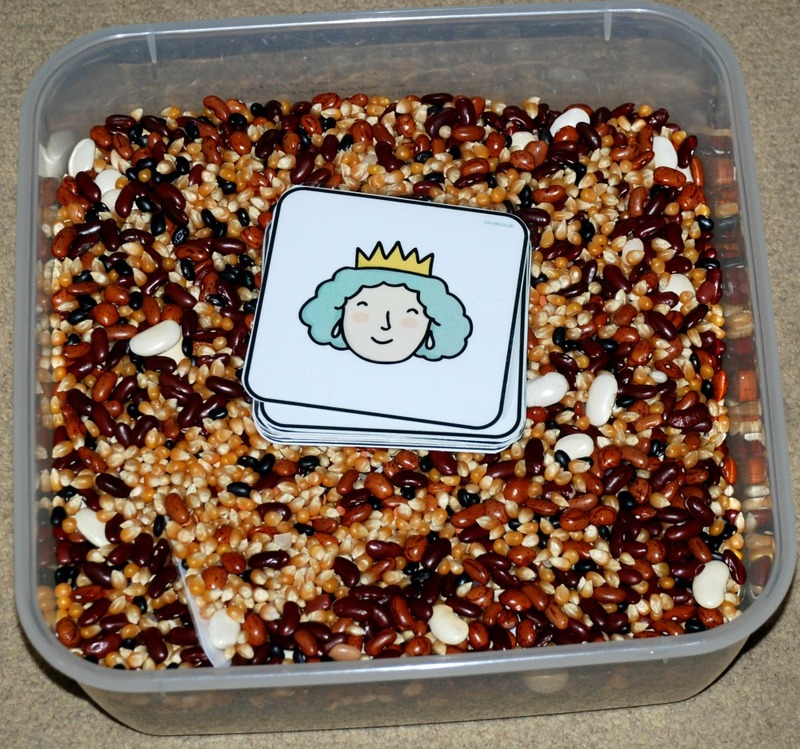 He battled with queen, so it helped that there were pictures to guide him (again he likes to do the activity by himself so it helps if there are pictures guiding him along the correct path). He did really well and did not stop until he had found a word for each picture. I have included an affiliate link in this post. If you follow an affiliate link and go on to purchase that product, I will be paid a very small commission, however your cost will be the same. 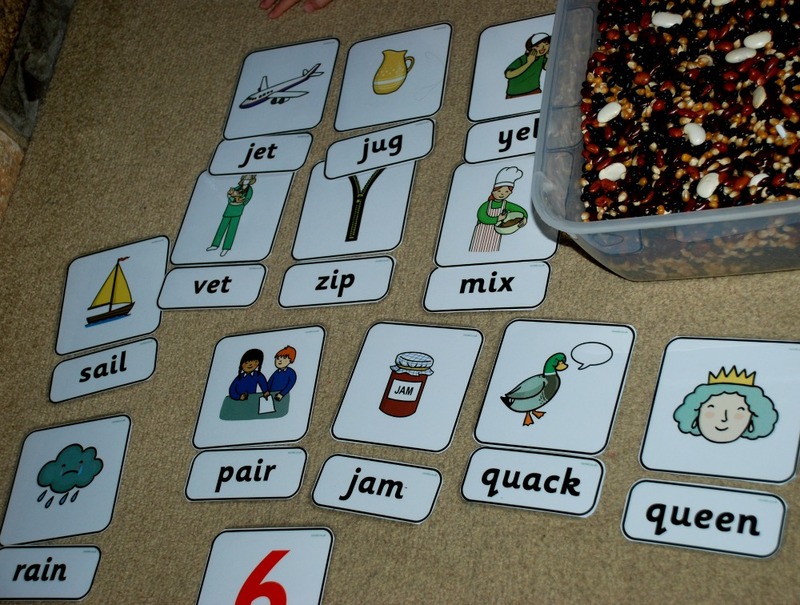 This entry was posted in ks1 English and tagged home ed, home education, learning letters and sounds, sensory play, sight words. Bookmark the permalink. Love this idea of adding the sensory element! We are big fans of Twinkl cards in this house. Now we have something to add to our game! 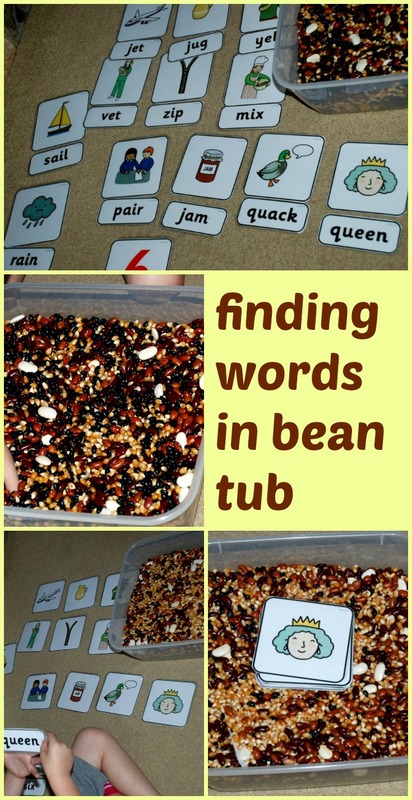 This looks fab – and love the sound of the bean tub!